Hello Friends and Fans! Welcome to another article by Sadiq Apple Solutions. Today we are going to talk about Installing Hadoop on Mac. The very 1st thing that you guys should know is. What is Hadoop and what are the functions/uses of it. Because to Install Hadoop on mac demands a slight knowledge of Mac. If you are new to Mac then be prepared, you guys will have to pass through a series of the zig-zag path. Ok, I have decided that 1st I’ll discuss a lit bit about Hadoop like I always share some value-added information about the topic. Then I’ll tell you guys How to install Hadoop on Mac OS. I will start with something interesting for you guys. Hadoop is a part of Apache project sponsored by Apache Software Foundation. Hadoop is an open source. It functions to store data and helps in running applications in clusters of commodity hardware. Another interesting thing about Hadoop is that it is a Java Based programming framework. It provides huge data storage. Data may include, text, picture, video. Hadoop provides an enormous processing power. This makes it extremely useful in complicated processing processes. The most amazing thing about Hadoop is the ability to handle virtually limitless concurrent tasks or jobs. IT Professionals, Youtubers, Video Business people, Photographers. Professional Gamers, Engineers, Graphic designers. I have listed a very few people here. All those persons who have the link to the Mac and their work involve Huge data storage, fast processing that also include complicated processing and multitasking require Hadoop. Do you know? Hadoop was discovered/designed/created by computer scientists Doug Cutting and Mike Cafarella in 2006 to support distribution for the Nutch search engine. Useful for Steve Fans: You people will find it very interesting that it was named Hadoop by the inventor Mr. Cutting after the Name Hadoop of a yellow baby elephant toy that owned by his son. Now let’s move further to the procedure of installation of Hadoop on Mac OS X. Installing Hadoop on Mac is not as simple as typing a single line command in Terminal to perform an action. It requires a mix of knowledge, concentration, and patience. However, you don’t need to worry about not knowing everything. Just follow the steps that I tell you and you will succeed without a delay. Now we have come to the point which you were searching desperately. How to install Hadoop on Mac. Here you go. This step by step guide will help you to do that with ease and in no time. You will need to know some command. I am sharing with you the commands. You just need to follow these on your mac. I fully hope that after reading this article you will be able to easily install Hadoop on your Mac OS. Each Section is further sub-divided into steps so that you feel it like a piece of cake. Best of luck for the installation process of Hadoop on Mac. After the installation, it is very important to configure Hadoop. /usr/local/Cellar/hadoop/2.6.0/libexec/etc/Hadoop/Hadoop-env.sh ( 2.6.0 is the version and it could be different in your case). In this way, you have successfully installed working Hadoop on your Mac. Now you can use it anytime you desire and anywhere you need. The possibilities are endless. I personally believe that anyone can use Hadoop according to his/her needs but you must 1st learn when did you need it. Hadoop has the ability to store and process massive amounts of any kind of data in a quick manner. It has great flexibility as you don’t have to preprocess data before storing it, unlike traditional databases. You can easily grow your system to handle more data simply by adding nodes. Hadoop is completely free to use and uses commodity hardware to store large amounts of data. Data and application processing are protected against hardware failure so you don’t have to worry about them. Hadoop’s distributed computing model processes big data very fast. Hope you have liked this article related to install Hadoop on Mac. I have discussed with you about the Hadoop. Functions of Hadoop. Who can use Hadoop? 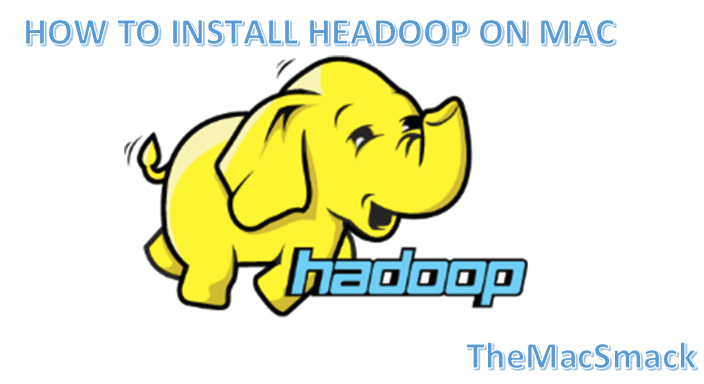 I have also shared with you the step by step guide to install Hadoop on Mac. I have divided the installation process into 3 sections and 8 steps. These are as follows. If you follow the step by step guide and carefully apply the procedure discussed in this article, I fully hope that you will get the task done easily. Like I always repeat. Before performing any such procedure, I strongly recommend taking the backup of your device and data so that If any issue arises, your data will be safe. Also, I have a very Important tip for you. Take the backup of your device on monthly basis. This will always be helpful to you. Hope you have liked today’s article. Do let me know in the comments section. If you like to know more, do let me know. What do you want to know in the next article, do share that with me? This is Steve Sadiq signing off for now.